Cleome hassleriana.Kevin C. Nixon.plantsystematics.org. (Accessed 5/2014). 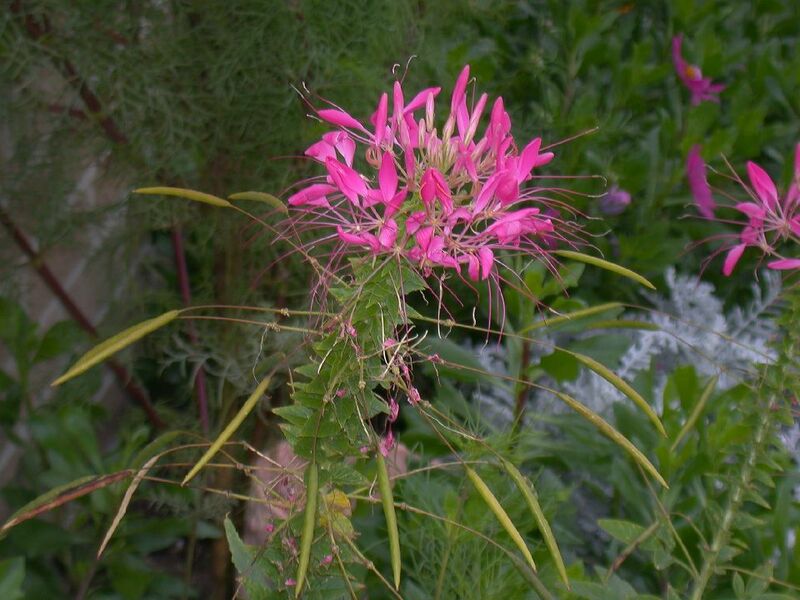 Cleome hassleriana is an annual herb to 1.5 m tall, stem stout, sticky-hairy, branched above. 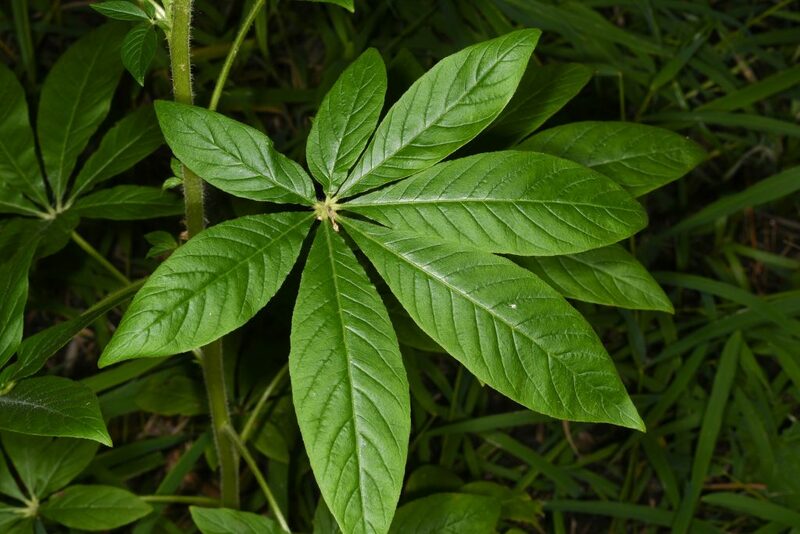 Cleome hassleriana leaf. © Thomas H. Kent. Creative Commons Attribution-Noncommercial-Share Alike 3.0 Unported License. florafinder.org (Accessed 1/2018). 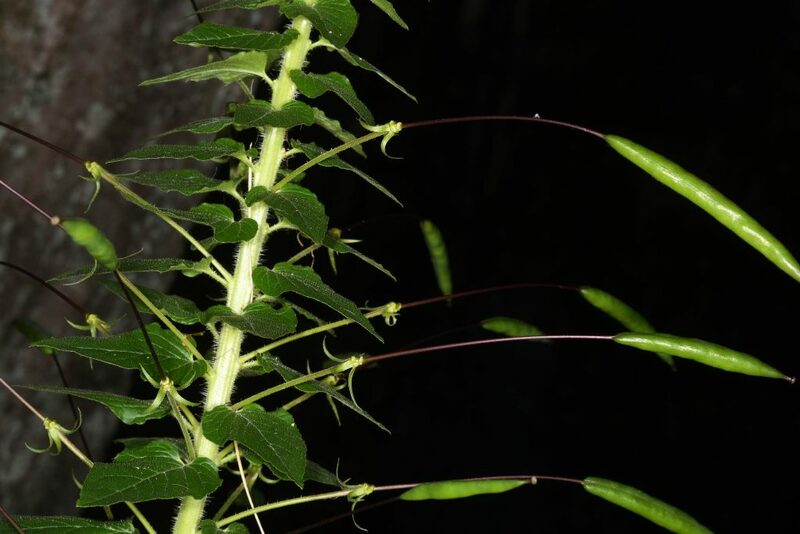 Leaves alternate, palmately compound, leaflets 5-7, narrow, widest above middle, finely hairy, central leaflet to 10 cm long, leaf stalk with pair of spines at base. 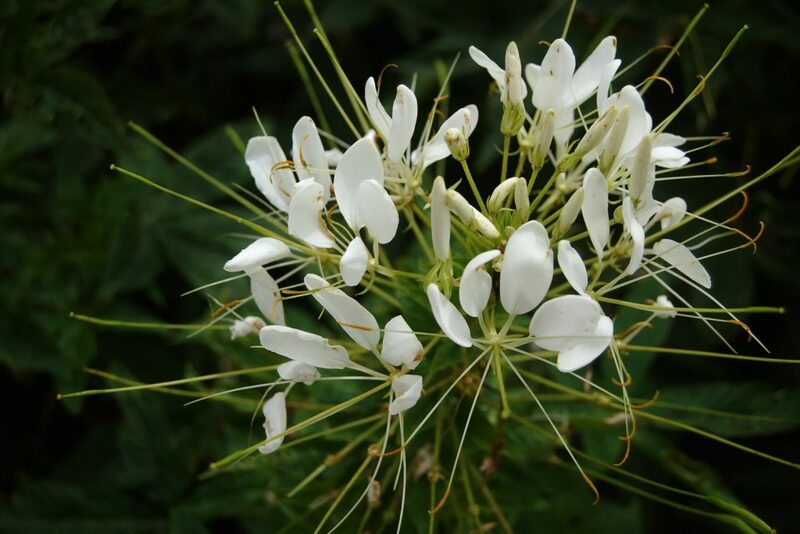 Cleome hassleriana (white) flowers. commons.wikimedia.org (Accessed 1/2018). Flowers white to pink, 4 petals to 1 cm, narrowed at base all on one side, 6 stamens, in unbranched cluster at top of stem, elongating through season as fruits develop below. Cleome hassleriana. fruit. © Thomas H. Kent. Creative Commons Attribution-Noncommercial-Share Alike 3.0 Unported License. florafinder.org (Accessed 1/2018). Fruit dry, a thin capsule to 10 cm long; blooms and fruits June-Oct. Seeds viable through winter sprouting the next season. Habitat: A garden plant, sometimes escaping.